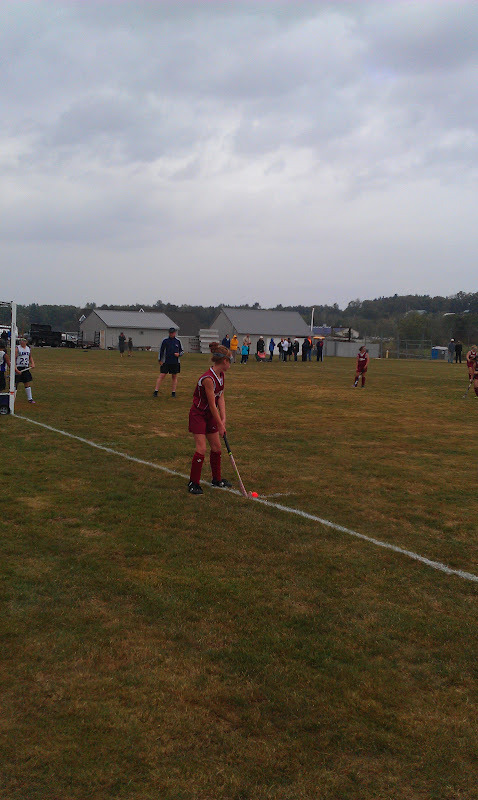 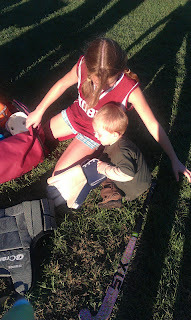 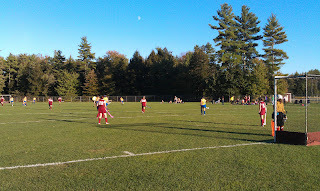 After her success with Lacrosse, Savanna decided to try her hand at field hockey. 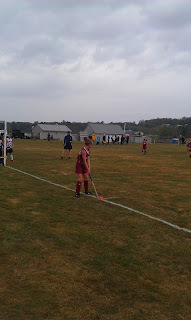 She joined the middle school team having never played before; she has picked up basics of the game pretty quickly and done very well... plus she really enjoys it. 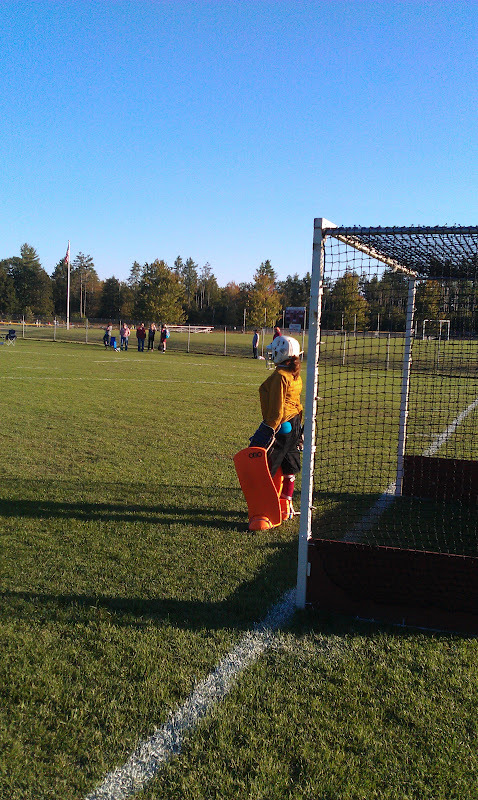 I think she enjoys both playing the field and being in the goal. 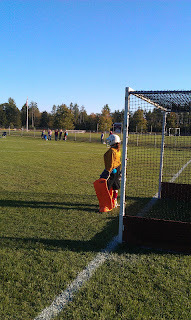 Between practies and games she plays every day after school- so we have been busy! Wes really likes that she is goalie since he can help with the goalie gear (and wear the gloves and/or helmet) after games!